Liz Allen's house went up in flames when she was 13, and her family lost nearly all their belongings. Her mom tried to spin the following weeks as an adventure -- their family was going to stay in a hotel with a pool! But the challenges of instability eventually weighed heavy, and grief struck on a night when Liz didn’t expect it. In a new video recorded at Building Changes' "Talk It Up: Stories of Home, Lost & Found" event, Liz shares her story and talks about how her experiences relate to the advocacy work she does now. Thanks to your advocacy, it should no longer cost an arm and a leg to apply for a home. The Fair Tenant Screening and Eviction Reporting bill passed the legislature! The 2016 state legislative regular session wrapped up last week. Thanks to you, we've had some important victories. It's not over yet, though! Lawmakers are still in Olympia, and your ongoing advocacy is needed. 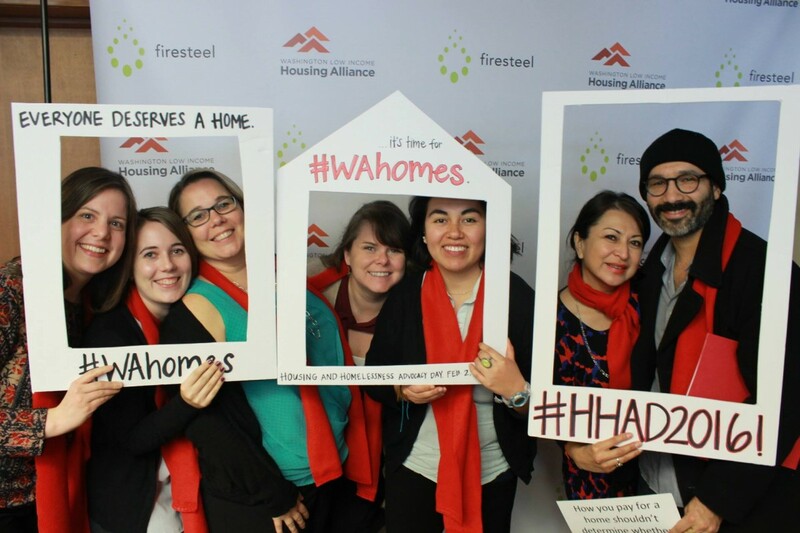 Architect Poppi Handy (third from left) joined her Third Place Design Cooperative colleagues at Housing and Homelessness Advocacy Day in Olympia last month. 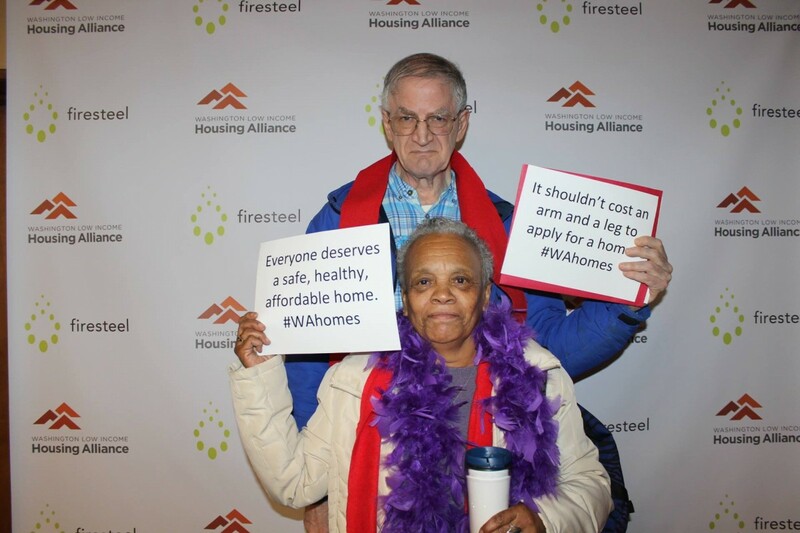 Their office regularly engages in housing advocacy. Poppi Handy joined the high school swim team so she could get regular showers while her family experienced homelessness. School was an escape for Poppi, who did well in the classroom despite many challenges. Now an architect, Poppi designs inclusive communities and advocates for policies that will help people have the resources they need to thrive. Listen to her StoryCorps "Finding Our Way" conversation with her husband, Brent.